Why You Should use Oberlo and Aliexpress When Dropshipping With Shopify or Shopify Plus? Shopify has revolutionized the way companies and individuals approach the vast and sometimes confusing e-commerce business model. It has enabled the businesses to establish websites for their online store in a cheap and convenient manner. Shopify does take a very good care of the website aspect of the business, however, it doesn’t offer a solution to ease dropshipping by outsourcing your items, so you can ship them to your clients without having to deal with shipment and packaging. Luckily there are some very attractive solutions available, the most attractive being Oberlo and Aliexpress. If you look to automatize those aspects of your business, you should turn your attention to Oberlo, a tool which makes it easy for sellers to import and dropship items on their Shopify plus website. Furthermore, it enables the shipping to your customers directly, so you don’t have to ship and package your merchandise yourself. Aliexpress, however, is the biggest electronics retailer. Aliexpress offers the Shopify owners the option of importing their products to their stores. The orders fulfill automatically and the product is dropshipped to the customers. When you dropship with Aliexpress and Oberlo, it is easy to start an online business without having to spend much. You don’t have to obtain items before you sell them and you don’t need a warehouse. The only thing you need to do is to pay your suppliers once you have sold your item. Signing up – Signing up with Shopify is very easy. 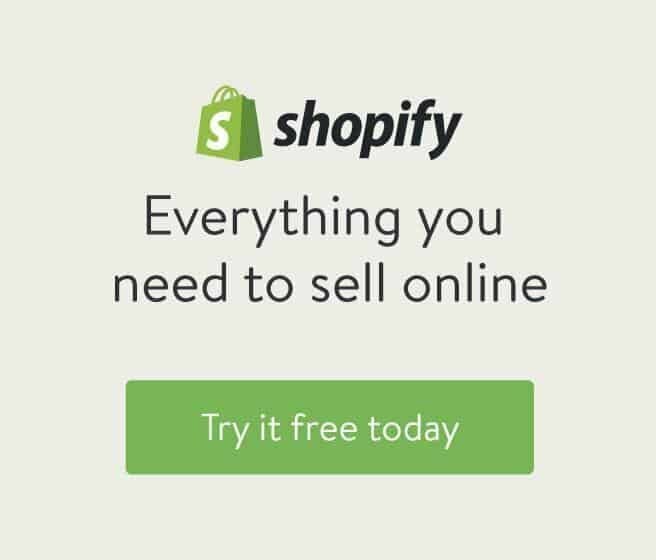 You have to go on the Shopify website and click the sign-up After the form pops up, you should fill it and you are almost good to go. After you created your account using your own e-mail address, you have to pick your own unique business name and disclose your business information including the address, country, your name, and contact. Setting up your online shop – After you have agreed to all the terms and created an account, you will be sent to your store admin interface. On the admin interface, you can use many features to completely customize your store. That includes uploading pictures of your products, putting up descriptions, prices, and the payment details. If you provide shipping, you can also add the shipping information. Customizing the layout of your store – Even though Shopify provides you with a default theme, you can still customize it. You can do that by picking any modification from the theme store. You have to know though, that there are many premium customizable themes, so you will probably have to pay some money if you really want to customize your store in the most attractive way. There are around 200 themes available in the theme store. They are categorized by industry, its features, and You can also use the search filters to find the most popular or recent ones. You should always pick a theme that is consistent with your brand, is affordable and fits in with your merchandise. It is advisable to always try out the demo of a theme before purchasing and establishing it in your store. Adding Oberlo and Aliexpress – Adding Oberlo and Aliexpress is easy. To add Oberlo, you have to click on the Apps and pick Oberlo. It will appear by itself among the apps enhancing the Shopify store experience. You then click on Oberlo and install it. Go to the settings ta band change the shop settings and auto updates according to your preferences. It is a good idea to enable all of the notifications so you will get updates every time there is a change in the available products and prices. Adding products to Oberlo – Pick Oberlo under the apps ta band then click on search products and add the names of the items you want to sell in your online shop. Look for all of the products you want to sell and add them to your import list. The next step is editing the product details. You should put in the details that will describe your product in the most attractive and understandable way to attract as many customers as possible. After configuring where your products will be seen you are almost good to go. Shipping information and a tax plan – There are stores that charge tax and shipping costs on some products. You will need to confirm this in the Inventory and variants menu. Choose the product you want, click on it and verify that the checkboxes next to Charge Taxes and Shipping are checked. Getting your online shop live through a new domain – When you have done all of those steps, you can get your store up and running. Ask a friend to make an order or try it by yourself. To get your store live, you will have to buy a domain name. You can buy it from Shopify or from a third party provider. You can add your domain to Shopify in the settings/Domains/Add an existing domain, and voila: your store is now live. 1 Why You Should use Oberlo and Aliexpress When Dropshipping With Shopify or Shopify Plus?